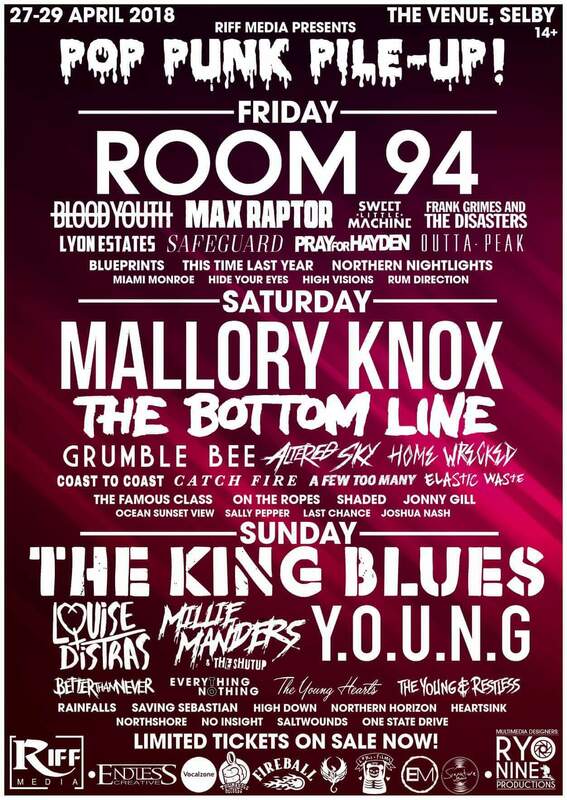 POP PUNK PILE UP FESTIVAL are pleased to reveal the final details of this year’s event with Kerrang Radio’s Fresh Blood presenter Alex Baker headlining the Friday and Saturday night after parties. 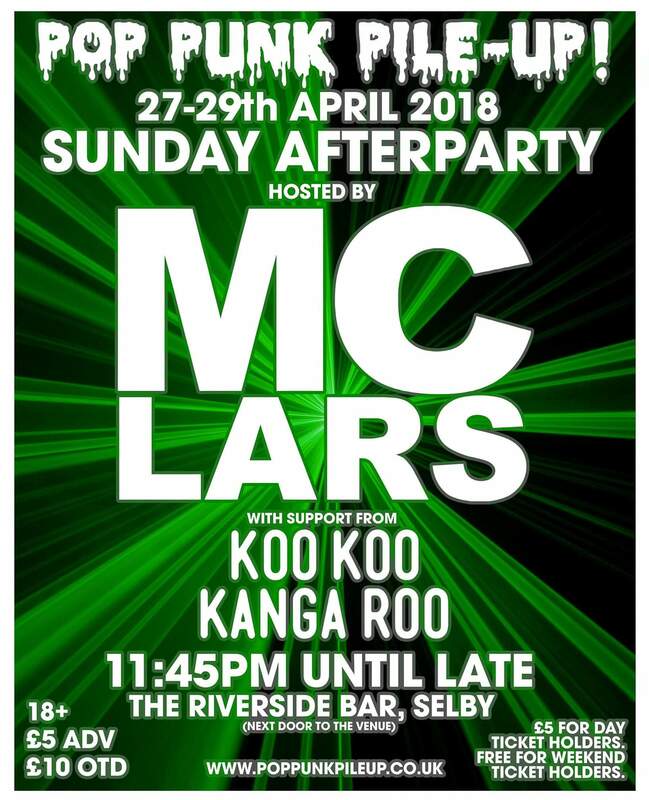 He joins Sunday night’s after party headliner MC Lars, who was revealed earlier this month. 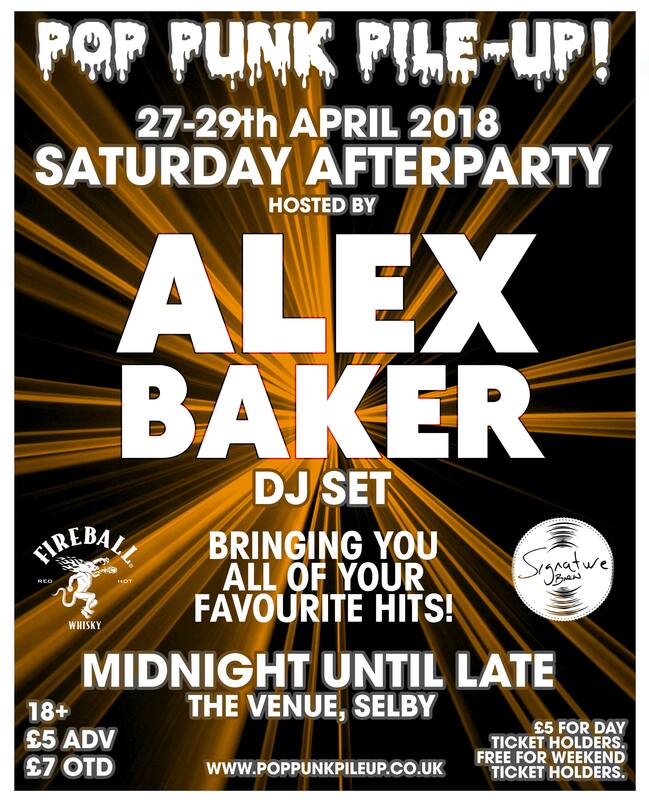 “It’s gonna be ACE!” states the successful DJ who has presented his show on Kerrang Radio for over ten years, winning countless awards and nominations for his work with underground and unsigned rock bands/artists. 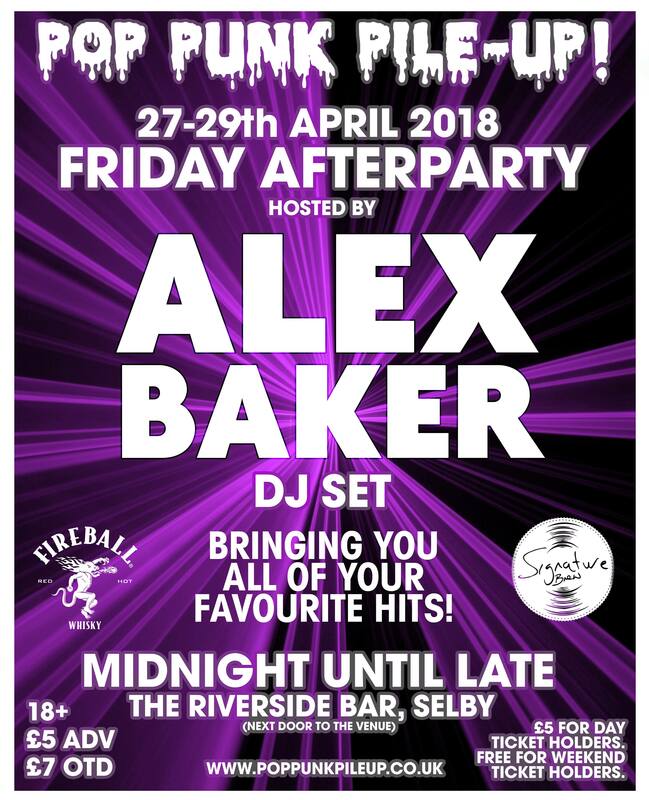 Announcing his addition to the line up live on his Fresh Blood Show last night on Kerrang Radio, Alex joins an already packed out three days at a very intimate venue for a festival. £25 for a day and £40 for the weekend and are available via Eventbrite, See Tickets and more. Press Accreditation for the festival is now open so get in touch now for more information.